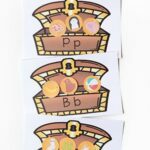 Over the years I have shared hundreds of fun alphabet activities for kids, but we are always finding more ways to play while learning letters and letter sounds. 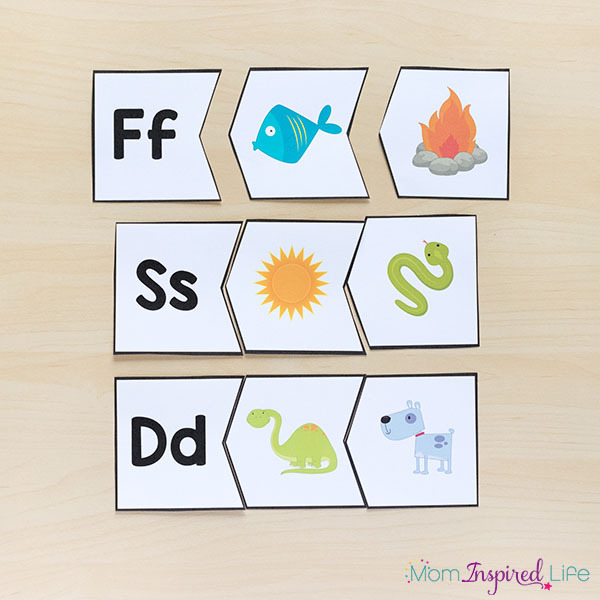 Puzzles are yet another way for kids to be hands-on while learning the alphabet. 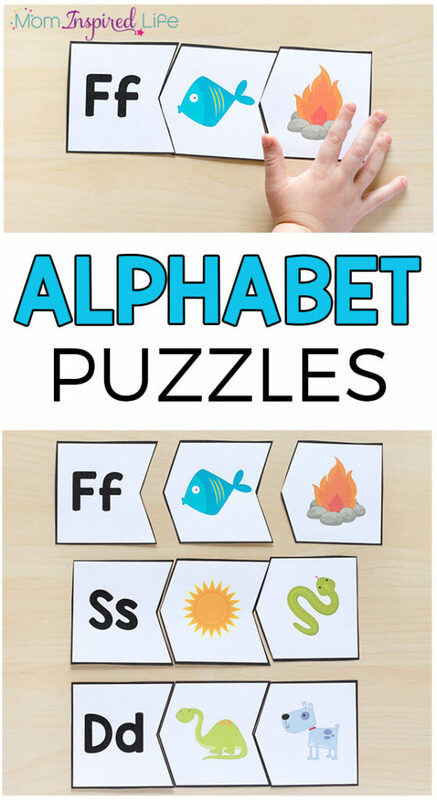 Both of my kids enjoy puzzles, so making alphabet puzzles has been on my to-do list. Yes, I could buy some from the $1 Spot at Target or something, but I like being able to use pictures and words that make the most sense to me. 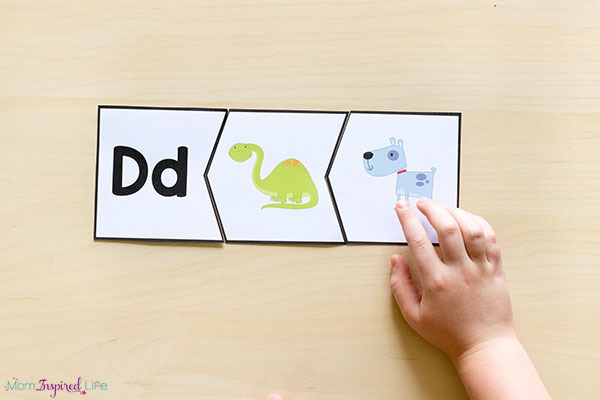 For example, sometimes puzzles you buy in the store will use a picture of a giraffe to represent the letter “G.” However, the “g” sound in giraffe sounds more like the “j” sounds in jump. 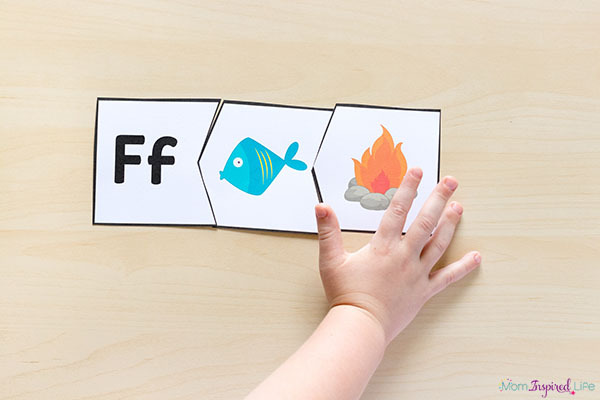 This is confusing for children who are just learning the alphabet. 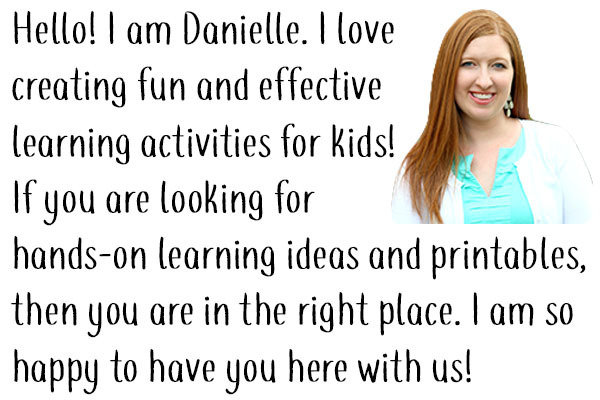 I really try my best to use words and pictures that make sense and hopefully will be easily recognizable to kids. Of course, prior knowledge and experience plays a part in this too. 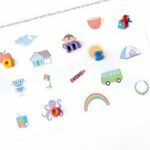 Not every child will know what yarn is when working on the letter “y” puzzle. That’s why it is also important that a teacher or parent is there to support students and give them a frame of reference, if need be. 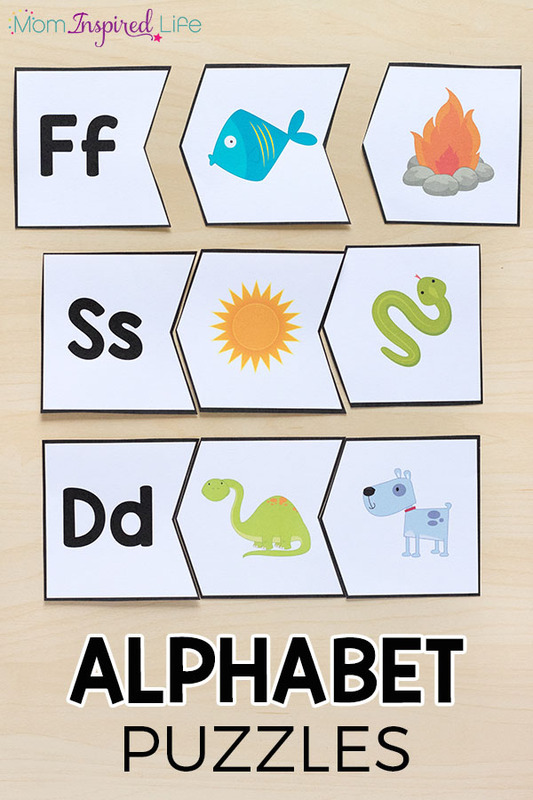 I made the beginning sounds alphabet puzzles in a way that minimizes the amount of cuts you will need to make, so this should be very simple and easy for you to set up! This post contains affiliate links. That means I make a small commission if you purchase items through a link below. 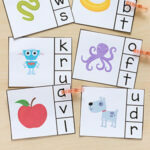 Start by printing the beginning sounds alphabet puzzles on cardstock. This gives them more durability. Cut out the puzzles and cut the pieces apart from each other. Laminate the pieces for even more durability. 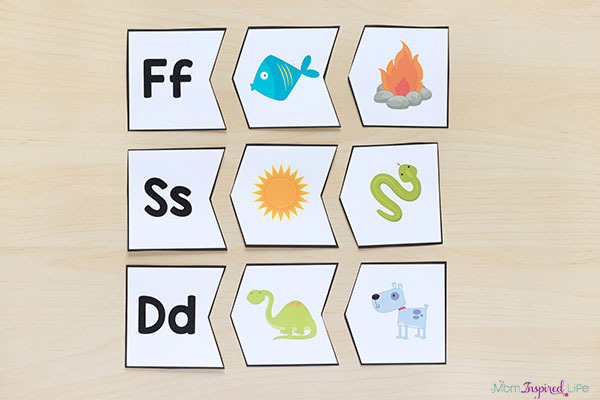 Now your beginning sounds puzzles are ready to be used in your literacy center, alphabet center or at home with your own kids! 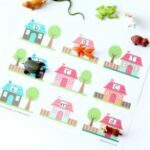 If you would like to make these self-correcting, so that they can be used independently, I would recommend writing the letter that goes with each beginning sound pictures on the back each puzzle piece. You can write it very small so it’s not so obvious. 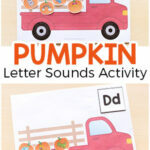 I hope your kids enjoy this engaging, hands-on beginning sounds alphabet activity! 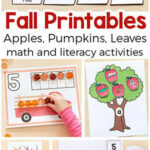 Check out these other alphabet activities too!